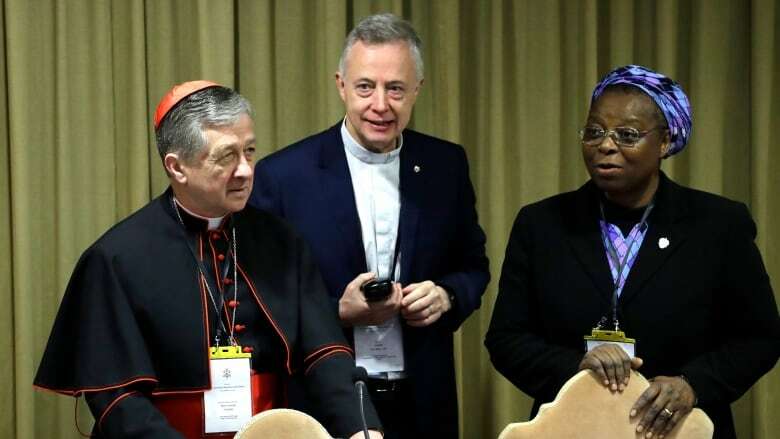 A nun from Nigeria has scolded Roman Catholic bishops at a summit of senior church officials, saying they should acknowledge the many mistakes made in handling the sexual abuse crisis. An African nun scolded Roman Catholic bishops on Saturday for many mistakes in handling the sexual abuse crisis, saying the Church had to acknowledge its "mediocrity, hypocrisy and complacency." Sister Veronica Openibo, a Nigerian who has worked in Africa, Europe and the United States, spoke with a soft voice but had a strong message for the prelates sitting before her. "We proclaim the Ten Commandments and parade ourselves as being the custodians of moral standards and values and good behaviour in society. Hypocrites at times? Yes! Why did we keep silent for so long?" she said. Openibo delivered her talk at the start of the penultimate day of a Vatican summit conference of some 200 senior Church officials convened by Pope Francis to confront what he has called the scourge of sexual abuse by the clergy. She directly told Pope Francis, sitting near her on the dais, that she admired him because he was "humble enough to change your mind," apologize and take action after he initially defended a Chilean bishop accused of covering up abuse. The bishop later resigned. "How could the clerical Church have kept silent, covering these atrocities? The silence, the carrying of the secrets in the hearts of the perpetrators, the length of the abuses and the constant transfers of perpetrators are unimaginable," she said. She spoke of her shock when she watched the 2015 Oscar-winning film Spotlight, which uncovered how Church leaders in Boston moved predator priests from parish to parish instead of defrocking them or turning them over to civil authorities. "We must acknowledge that our mediocrity, hypocrisy and complacency have brought us to this disgraceful and scandalous place we find ourselves as a Church. We pause to pray, Lord have mercy on us!" she said. She said Church leaders must shed their habit of hiding events for fear of making a mistake. "Too often we want to keep silent until the storm has passed. This storm will not pass by. Our credibility is at stake," she said. Leading cardinals told the four-day conference on Friday that the Church must repair the "systematic failures" that enabled sexual abuse to take root around the world, and bishops should start policing each other's behaviour. At the start of the conference on Thursday, five victims told painful stories of abuse and cover-up and the Pope said they could expect concrete measures to come out of the meeting. Victims groups have complained that while some priests who sexually abused children were eventually disciplined by the Church and sentenced by civil authorities, the bishops who either enabled the abuse or covered it up have not been punished. The conference ends on Sunday when the Pope will make a final speech. The Vatican says it will then formulate follow-up measures to make sure all bishop return home knowing how to put anti-abuse procedures into place.